Dr. Jim Richards is a pioneer in the field of faith-based human development. He has combined spirituality, energy medicine, scientific concepts, and human intuition into a philosophical approach that brings about congruence in spirit, soul, and body, resulting in incredible breakthroughs in health, emotional management, financial abundance, and intimate connection with God. He is a life coach, consultant, teacher, and motivational trainer. He holds doctorates in Theology, Alternative Medicine, and Human Behavior. He was awarded an honorary doctorate in World Evangelism for years of service in the Philippines. His many certifications include: substance abuse counselor, detox specialist, herbalist, handwriting analysis, EFT, energy medicine, and an impressive number of additional certifications and training certificates. Dr. Richards has been successful as an entrepreneur who has built several profitable businesses ranging from contracting to real estate to marketing. 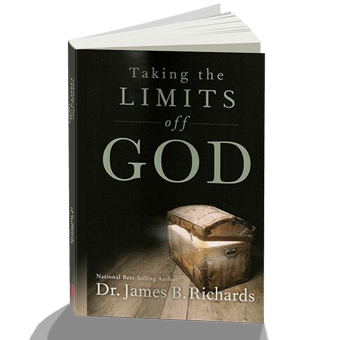 As a national best-selling author, Dr. Richards has written several books that have sold millions of copies around the world. His most noted work is Heart Physics®, a life-renewal program designed to equip people to transform any aspect of their life throughchanging the beliefs of their heart.